Last Friday night, February 10, I went over to the Indian Wells Resort in Indian Wells to visit my friend, Frank Di Salvo. 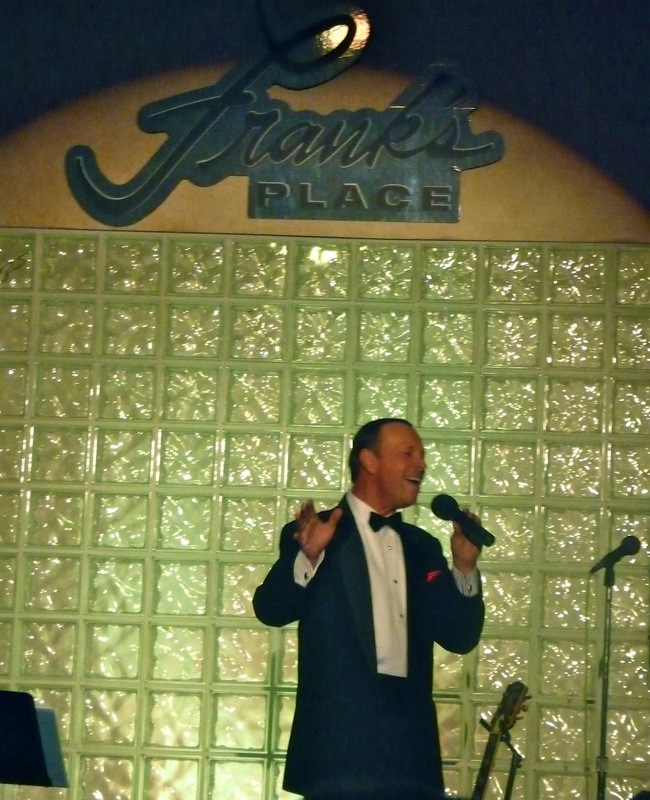 I met Frank last Winter shortly after he started singing at this great resort hotel and I was surprised by the level of talent that Frank brings to his audiences at every performance. The advertisement I first saw last year advertised that Frank was singing in the same style that Sinatra sang his signature songs. I went to see him with the expectation that I would hear just another singer trying to sound like Sinatra, but I was mistaken. What I heard that first night was not only a singer who had a great appreciation for the voice and talents of Sinatra, but also a singer with a strong voice and style of his own. The show Frank puts on at the Indian Wells Resort is not just a singing act. It's a trip back into the history and best music of the "Great American Songbook" with Frank leading us all the way through the journey. When I made my first visit to see Frank last Winter, the performance took place in a small corner of the lobby and with a small but appreciative audience. I was impressed and was not surprised that last season Frank's audience grew almost every week until he was playing to standing room only audiences by the end of the Winter. I wasn't the only one who noticed. The president of the Indian Wells Resort, David Nichols quickly realized that he had something "special" with Frank and committed to a large financial investment to expand the small area Frank was performing into a great new showroom that even Sinatra would have been happy to perform in. It's called "Frank's Place" and that is exactly what it is. Walking into this comfortable showroom, the first thing you see are rare pictures on all the walls of the giants of American music, Sinatra, Bennett, Nat King Cole, Perry Como and many others. Mr Nichols didn't stop there, he turned Frank's one year contract into a five-year deal. As a result of these savvy management moves by David Nichols and the great talents of Frank Di Salvo, almost every performance Frank has given this Winter season has been sold out. 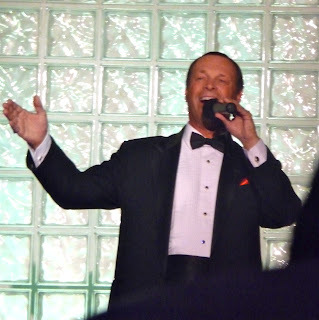 Frank does so much more than sing Sinatra songs, he loves to sing songs by all the greats, Jack Jones, Bobby Darin, Tony Bennett, Andy Williams, Nat King Cole and Dean Martin just to name a few. Frank pays tribute to them and their craft in songs and with stories that he shares with the audience. When you go to see Frank Di Salvo you just don't see and hear a singer. What you get is a seasoned, muti-talented entertainer that will bring back great memories of the music of your life that is guaranteed to make you leave the show smiling and happy. Tonight's performance was even more special because Dale Curtis, a talented Trumpet and Flugelhorn player and an old friend of Frank's sat in on several numbers. Dale resides in Ketchikan, Alaska and traveled down to Indian Wells to jam with Frank. He was a great addition to the show and played wonderful. Dale has an impeccable musical resume that includes performing with some of the best in the business like, Lionel Hampton, The Supremes, The Temptations, John Clayton and Diane Reeves. Dale has recently recorded a new CD "Bridge To Nowhere" with "The Dale Curtis Quintet" that I will be reviewing in a future blog. I hope Dale comes back to the Desert again in the near future and maybe he will bring his Quintet with him. We have heard Frank a number of times and as the year has gone on, so has he. I thought he was wonderful last year, but this year he is so much more. If you haven't seen him, you must. We took friends, who like "The Music Man" thought it was going to be ho hum, but are still raving about him a week later. I, too, have known and heard Frank's musical evolution with his Great American Songbook show. He is an unknown and his career will only grow as others discover his talent. Mr Di Salvo's tribute to Frank Sinatra is if a musical reincarnation occurs and the audience, along with Frank, is transformed to reexperience the unique quality and musical genius of the late/great Frank Sinatra. Those who know music realize that Mr Di Salvo is a special musician and it is the soul of Mr Sinatra that lives on. My wife have seen him 3 times in the last 3 months. He is terrific. Frank is THE MAN. Does a lot of charitable works as well. Extremely talented on many levels inlcuding but not limited to building superb custom, hand crafted guitars. Proud to call him a friend. 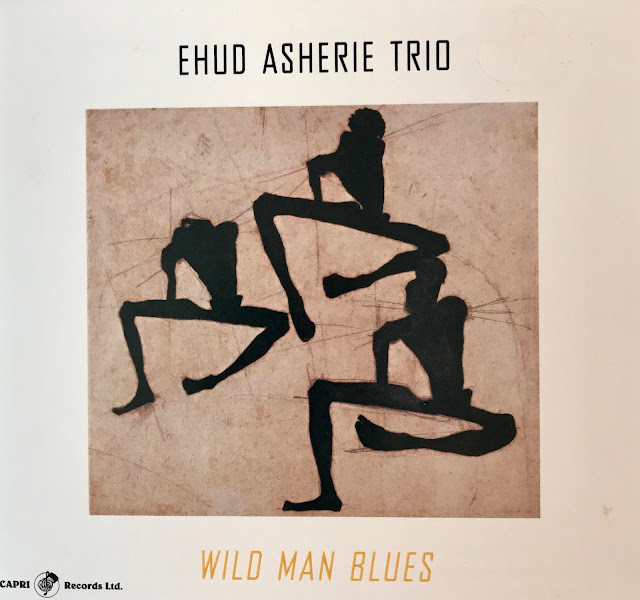 His level of musicianship and seasoned, professional presentation make this show exquisite. Don't miss it! As a fellow high school graduate of the same class, you were awesome back then too! I remember your band playing at our high school dances and your singing, knowing that you would be doing great things! Very proud of you and your accomplishments! You bring "heart and soul" to the lives you touch! He is Awesome beyond words. His show is worth seeing over and over again. Not just because I am his daughter. He is the Best!!!!!! Frank, we've known each other for many years, but seeing what you've accomplished since moving to the Desert makes me delighted to be your friend, teacher and fellow guitar aficionado. People don't even begin to know what a Renaissance man you truly are. Thanks to all for he great comments! Frank is not only a great performer, he also is a quality person! More than amazing! WOW!!! Tone, music, entertainment! Too much!!!!! Like a fine wine and a seasoned jazz guitar. So much talent!!! Frank is a true performer and a real treat to watch how the audiance responds to him. The best part is that he is as nice as he is good and thats a great combination.